Great taste and very smooth! Disappointed it’s sold out! I really wanted to like this flavor, but it just tastes so fake. Please bring back the Superfood Blen Dark Chocolate Stevia Sweetened. This is very hard to get down. This is by far my favorite flavor. I add in a frozen banana, spinach and almond milk and it tastes like a chocolate milkshake!! My kids love it, too. So delicious and thick!! I like the fact that these shakes thicken. They fill me. I don't get cravings after just 2 hours. They travel well when needed - I like to use the shaker bottle when I travel. I mix this flavor with the Mint Chocolate flavor and really enjoy them. 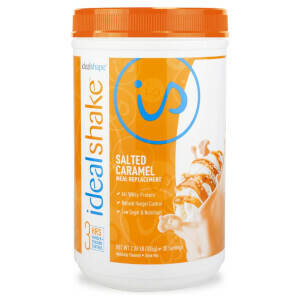 I truly enjoy the flavor of the IdealShake...the low sugar is very important if you're trying to lose weight. 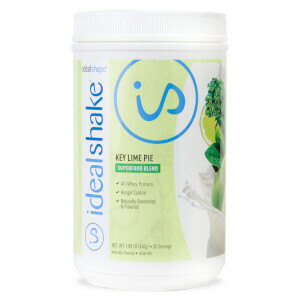 Love the IdealShakes! Just received my second tub of Chocolate Cream Pie (because I loved the first) along with the Strawberry and Carmel. Plan to stick with them. I am on the fence about this one. I like it, but only the first few sips. Towards the end it has a very artificial flavor. I don't get cream pie at all from this, even in the beginning. It is sweet, but not overly sweet.